Size: 4.7 inches The Chuckit! 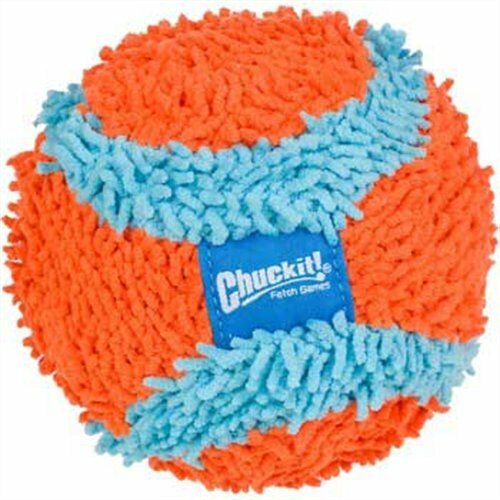 Indoor Ball is made from textured chenille fabric that is idealfor small dogs and puppies. The soft, resilient construction is safe forindoor use and Features Bounceflex Core technology for a lightweight, yetdurable design. Great for playing fetch when it's too wet or cold to gooutside! Compatible with the Chuckit! Indoor Launcher (not included) for no-slobber, hands-free pickup.